The Japanese market is not the essential force in the video game industry it was even ten years ago. From 1980, when arcade game makers like Namco and Nintendo ruled the roost, all the way to Sony’s console world dominance with the PlayStation 2 last decade, competitors in the market relied heavily on Japan because that’s where the most popular gaming machines were born. As mobile and PC gaming has risen in recent years, and the console game market has come to be dominated by Western developers, Japan isn’t what it once was. 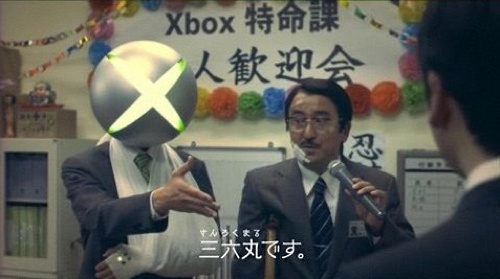 That’s never stopped Microsoft from trying to infiltrate the Japanese market, though. From investing in exclusive deals with Sega back on the first Xbox to partnering with unique Japanese developers for Kinect games like Crimson Dragon, Microsoft’s always pushed for a place in the land of Dragon Quest and Monster Hunter. Despite that, Microsoft was never able to gain a foothold in the Japanese gaming market. It got so bad that the Xbox 360 was essentially removed from all retail shelves, with only a handful of stores carrying it as a specialty item. As detailed by Japanese gaming industry site Siliconera, the promotion running from this Saturday through Jun. 19 aims to get Japanese Xbox 360 players to devote their time to the console, rewarding everyone on with Xbox Live Gold memberships with free points provided they play a collective number of hours. It works like this: If all Gold members play 300,000 hours, they get 100 Microsoft Points. 500,000 hours will net them 200 points, and if 1 million hours is hit, that’s 400 points, enough to purchase some new wardrobe items for that crusty old copy of Idolmaster. Strangely, only play time on twenty specific games will count towards the goal. Many of them are new titles like BioShock Infinite and Tomb Raider as well as Resident Evil: Revelations, but peppered in are older titles like Forza Motorsport 4, Battlefield 3, and Dance Central 2. It’s an uphill battle for those 1 million hours considering how very few Xbox 360s there are in the wild in Japan. It wasn’t until 2010, five years after the Xbox 360 came out, that Microsoft hit 100,000 Xbox 360s sold in the region. If at first you don’t succeed, Microsoft, try, try again (with the Next Xbox). Crossover conundrum: Should cars be good at everything, or great at one thing?